There is no set agenda for each meeting. The Society always was and continues to be run with a kind of anarchic pragmatism. Generally, by invitation and/or agreement, each member or visitor plays a piece or a few pieces in turn. If someone does not wish to play there is no pressure and we have people who come regularly just to listen. 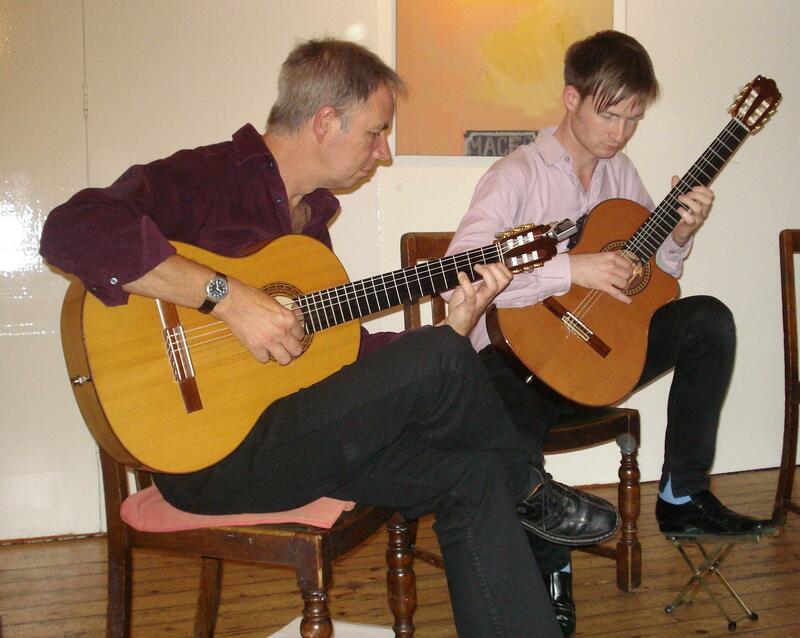 Although this usual format of our monthly meetings is a platform for performance, there are times when someone comes along with a new arrangement for a guitar ensemble and we may read it through together. There is room for flexibilty and spontaneity.